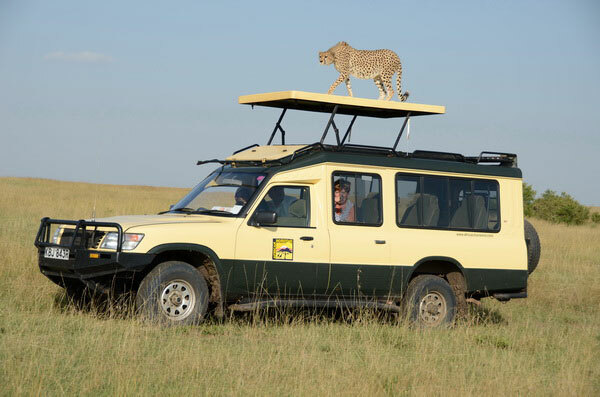 In addition to these, our 4x4 safari Patrols are each fitted with a mini-fridge and inverters (to charge the batteries of mobile phones, laptops and cameras). 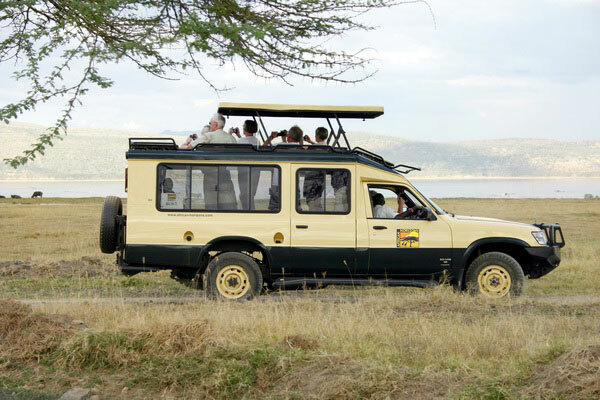 Built with safety and comfort in mind, each safari vehicle is designed to seat a max of 7 passengers but for optimum safari enjoyment we encourage a max of only 6 passengers, guaranteeing each guest a window seat. 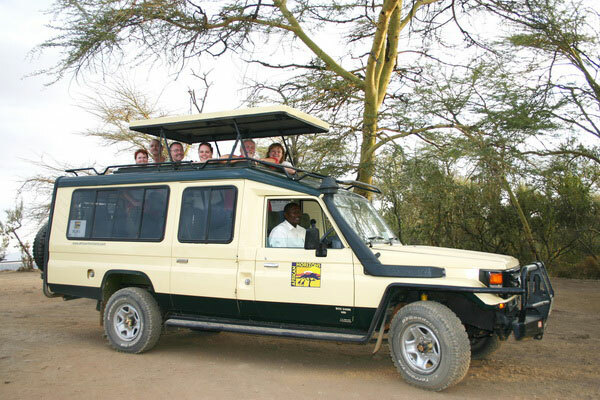 Each safari vehicle offers comfortable seats with seat belts and canvas covers fitted with pockets for water bottles and other handy items. 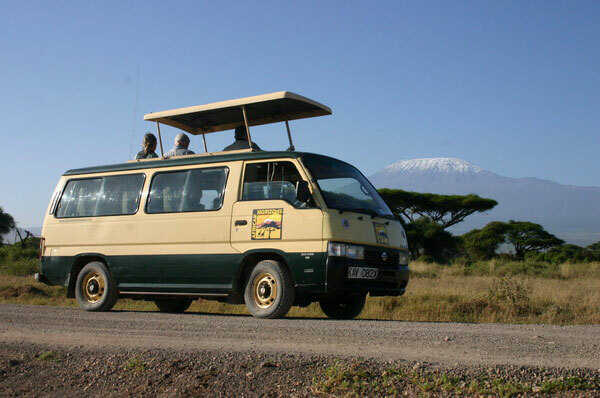 Well maintained, each vehicle is routinely subjected to an overhaul service after every safari and checked again before the next safari by our very own team of competent mechanics and workshop staff who are on standby round the clock. 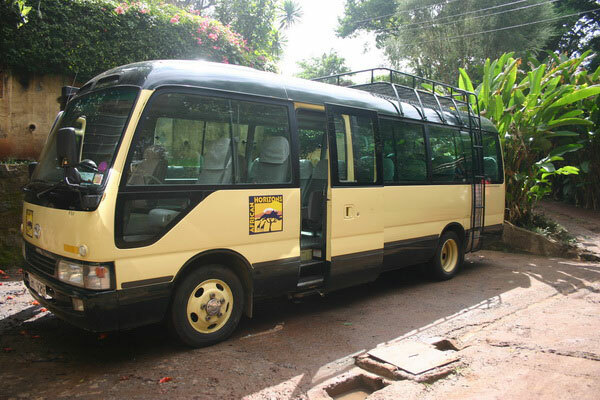 For larger group transfers and transport services, we have our 22-seater fully air conditioned transfer bus. 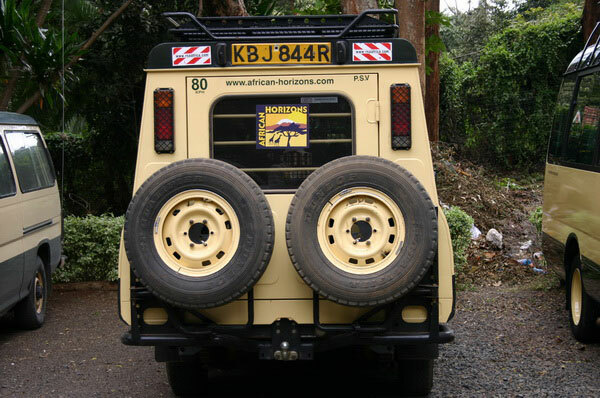 *Whilst we endeavour to ensure that all our vehicles offer 12V connections and HF radio connections, the high-impact of the rugged African terraincan occasionally cause these delicate mechanisms to go temporarily out of service. We do our utmost to ensure against this, but beg your understanding for the few times in which such temporary faults may occur.